Driving on the highway with no traffic, things are smooth sailing, you’re playing your favorite music, all is good. Until you hear a loud tap and suddenly find your windshield with a ding and a growing spider-web crack. Your heart sinks knowing that you’re going to have to deal with that before it gets any worse. Unfortunately, we’ve all been there. Getting a cracked windshield on your Clermont Toyota car is actually more common than you think. Every time you drive on the highway you run the risk of debris flying up and hitting your car. A small pebble can have the most devastating impact when traveling at such high speeds and there’s nothing to do but deal with the damage. If you’ve cracked your windshield recently, don’t stress! Toyota of Clermont is here to help! While super inconvenient and annoying to look at, most drivers are able to ignore an obvious crack or ding in their windshield and we’re here to tell you to not do that. 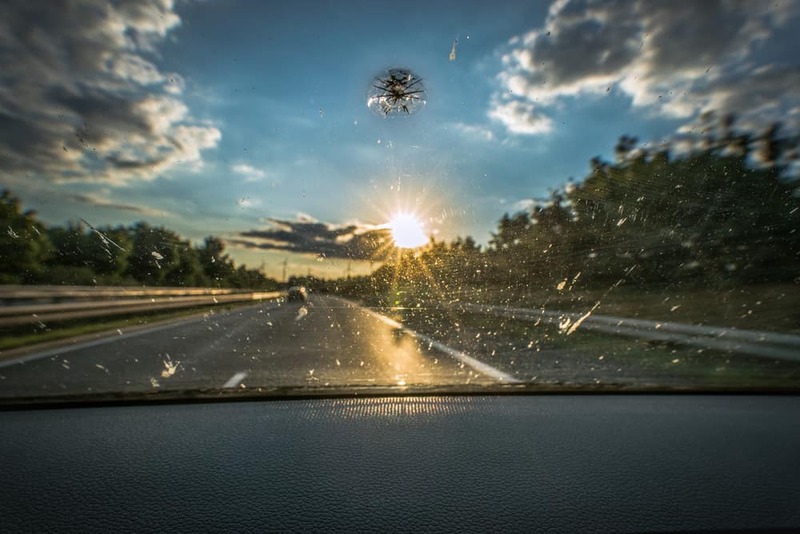 Even the most unnoticeable of cracks and dings can spiderweb and create terrible damage to your windshield that can threaten the structural integrity of your vehicle. Not only could your vehicle be negatively affected long term, but you can get in some legal trouble if you leave a cracked windshield unchecked. A police officer can pull you over, inspect your vehicle, and issue you a citation if your vehicle is deemed unsafe to operate (Florida Statute 316.610). So, if it’s illegal to drive with a cracked windshield in Clermont, but you have a small amount of damage that’s barely noticeable, what are you supposed to do? Luckily, in conjunction with Florida Statute 316.610, there’s a coupling statute that states that damages windshields are to be repaired without a deductible charge. In other words, if you have comprehensive auto insurance (which is required by law in Clermont and Florida as a whole), then your cracked windshield can be repaired free of charge. Now, the big question, what do you do next? Getting a brand-new crack-free windshield on your Clermont Toyota vehicle is actually a simple and very stress-free process. Start by calling your auto insurance company. They’ll ask you several questions about the extent of the damage and you’ll likely be asked to determine if the size of the ding or crack is more or less than the area of a dollar bill. This is asked to gauge whether or not your cracked windshield can be repaired of if it needs to be completely replaced. They’ll then refer you to the closest trusted auto body shop to your address to have the repair completed. You also have the option to book your repair with a mobile glass company if you’d rather not go to a shop! If you still have questions about how to repair your cracked windshield and how to repair it, no worries! Toyota of Clermont is here to answer your questions and help you every step of the way. Give us a call at (352) 404 – 7000 for more information.